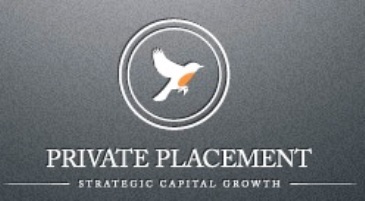 (PRweb)–New York, NY–July 12 2016- PPM Services, Ltd, the global consulting firm specializing in private placement memorandum document preparation for debt and equities and business plan preparation services for start-ups, announced today that it has introduced a new suite of products and re-branded its website platform under the new domain, PPM.co. Owned and operated by parent company Broker Dealer LLC, PPM.co has also introduced new modules to its platform to support entrepreneurs and fast-growth business enterprises that are in need of documentation for Regulation A+ equity crowdfunding initiatives, Regulation D Exemptions, Eurobond and 144a bond and Regulation S offerings, EB-5, as well as CUSIP and ISIN code application services. The updated PPM.co platform includes a newly-introduced referral service module for law firms, accounting firms and private investment brokers in need of outsourced securities offering document preparation services, as well as a recently-established investor relations and public relations service for companies in need of expert guidance and implementation of brand awareness and social media campaigns. Concurrent with the brand update, the firm has updated its Twitter account to @PPMexperts. The firm’s FaceBook page is available via this link. 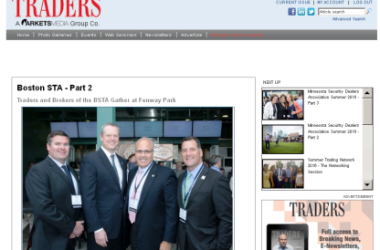 If you are an institutional broker-dealer that is focused on sell-side “comings and goings” (or goings and comings), for years Traders Magazine has likely been your source of sell-side news and related topics of interest. John D’Antona, TM’s long-standing senior editor and contributing writer has become a mainstay in your diet of news bytes that traders use to keep an eye on and ears open when it comes to job opportunities and prospective greener pastures, as well as regulatory topics, fintech innovation as well as select scraps of intel from buyside trading desks. 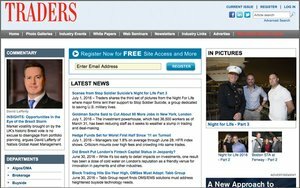 (Media Post) Jul 5 2016 Markets Media has acquired Traders Magazine from SourceMedia. The combined entity will have a total unique audience of 135,000, made up of 120,000 digital readers and 15,000 print readers. Founded in 2007, Markets Media is a digital publisher focusing on institutional trading and investing in North American and European markets. Virdee said the timing of Traders joining Markets Media couldn’t have been better – Markets Media is in the midst of upgrading their platform this summer. “We have already started to upgrade all of our systems. We will do that with Traders, as well as we go through the transition,” he said. The upgrades will affect the design and functionality of the brands’ digital space, as well as introduce a “more aggressive social media campaign,” Virdee said. Additionally, Markets Media will upgrade their mobile presence and create “innovative advertising solutions for our core customers and existing Traders customers,” he added. For now, the company says Markets Media will operate MarketsMedia.com and TradersMagazine.com as separate sites, producing original content independently. Traders is a digital information and news service that has served professionals in North American institutional markets for 30 years. The company is also known for its sponsorship of social, charity and networking events. SourceMedia owns brands like American Banker, The Bond Buyer, Mergers & Acquisitions, Financial Planning, On Wall Street and Accounting Today.